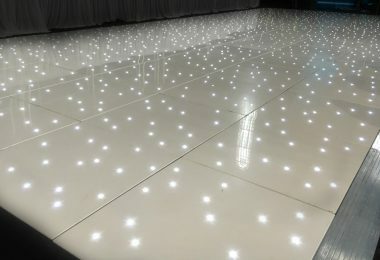 Looking to hire a LED starlit dance floor in Surrey? We offer a wide range of dance floors coming in an array of sizes ranging from 10ft x 10ft all the way up to 22ft x 22ft. 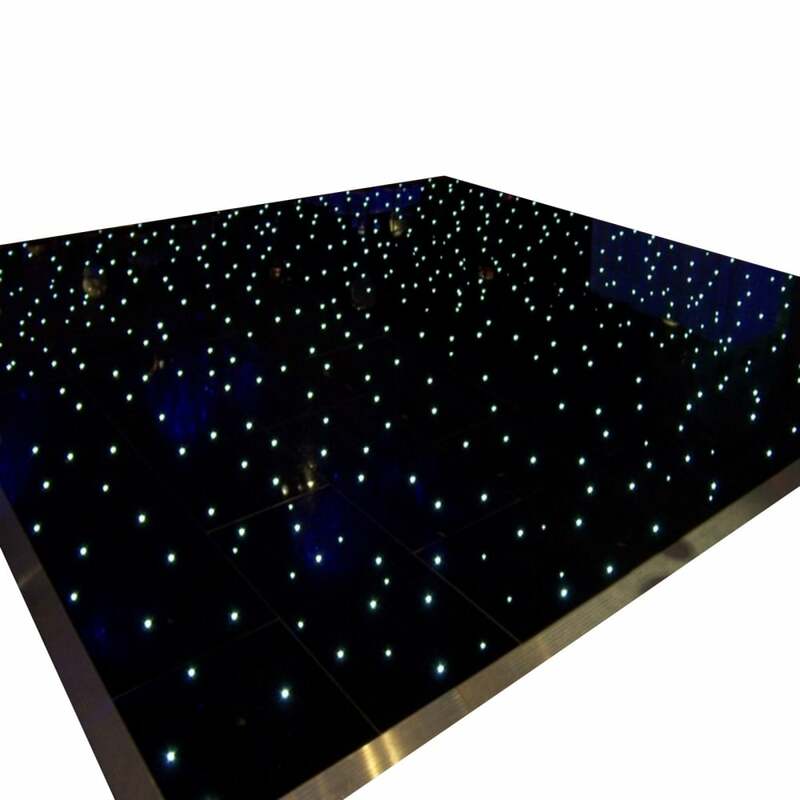 With all of our stunning starlit floors each panel has small white Led lights which are flush with the surface of the floor and twinkle at various speed to look like a starry effect. This price is plus delivery which will depend on your venue & location. Dance floors can only be delivered & setup by one of team members.